Calvin Murphy is a Hall of Fame point guard who gave all 13 years, 18,000 points and 4,400 assists of his career to the Houston Rockets before being brought back by the team as a commentator. 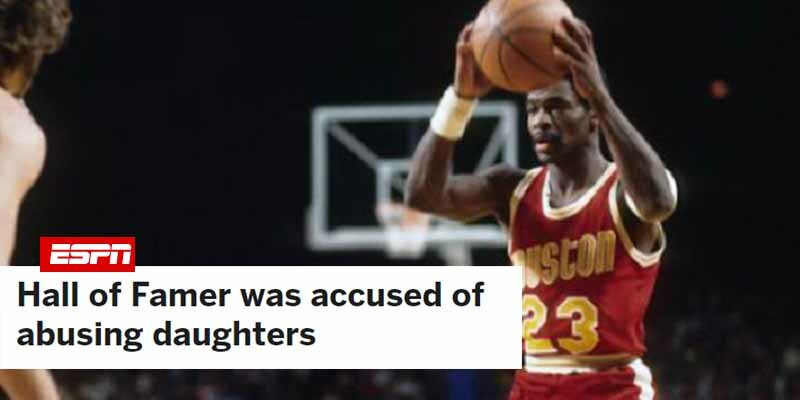 In 2004, his five daughters (out of 14 children total, most out of wedlock) alleged that he molested them. Even though he was later acquitted, a lot of people still thought he was guilty and the Rockets fired him and didn’t bring him back for 8 years.